If you have many add-ons installed, Firefox can take a lot of time to start. To make Firefox start quickly, remove the add-ons you are not using. Some handy shortcuts can make your Firefox browsing experience a bit speedier. On your keyboard, hitting the spacebar while browsing will allow you to scroll down. Holding down the shift key plus the spacebar will do just the opposite and scroll your page up. Since Firefox is well known for its tabbed browsing, it would only make sense that there would be a shortcut for opening a new tab. To do this, just hold the control key and the letter "T." Hitting the "F5" key will reload any webpage for you. Holding control plus tab will take you to the next tab. Lastly, holding down the alt key plus the home key (above the numbers on your keyboard) will take you directly to your home page. There are a few other shortcuts that exist for Firefox as well. If you use bookmarks, giving them keywords will allow you to access them much quicker. All you have to do is go to your selected bookmark and right-click on it. Choose "properties," enter an easy-to-remember keyword in the keyword field, then save it. When you type that keyword in your normal address bar, your bookmark will appear. Also, when you wish to access a specific site on your computer, do not worry about typing the complete URL in the Firefox address bar. 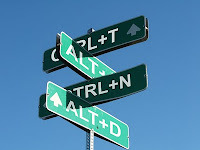 If you simply enter in the name of the website, such as "Google," then press control plus enter, the rest of the address (www and .com) will be filled in for you if the website has a .com domain. If the website has a .net domain, press shift plus enter. For .org websites, press control plus shift plus enter. Although these shortcuts can take some time to get used to, they can really save you time and make it easier to surf the web. If you are having issues with your Firefox speed, take a few minutes to familiarize yourself with these tweaks and shortcuts. 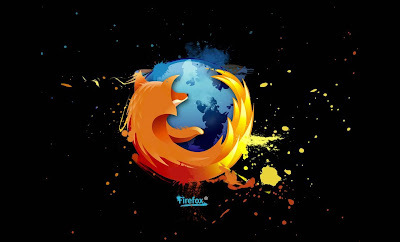 Once you see how easy it can be to increase your Firefox speed, you will be glad you took the time to check them out.